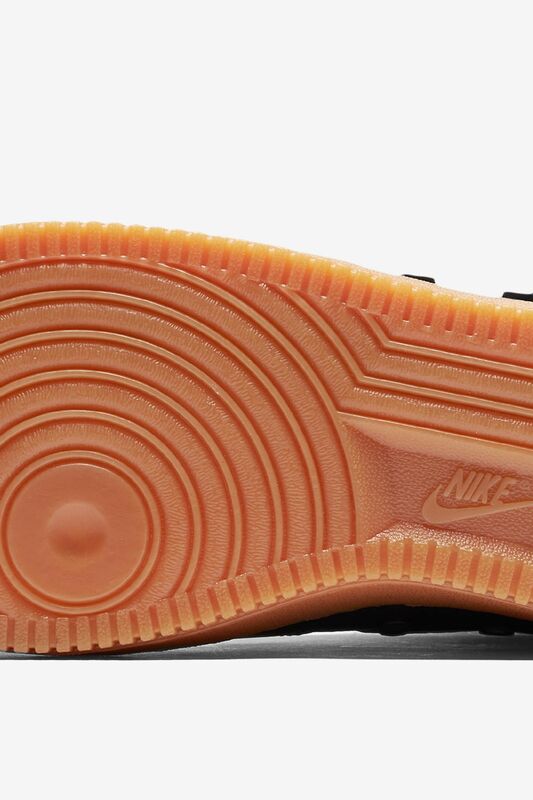 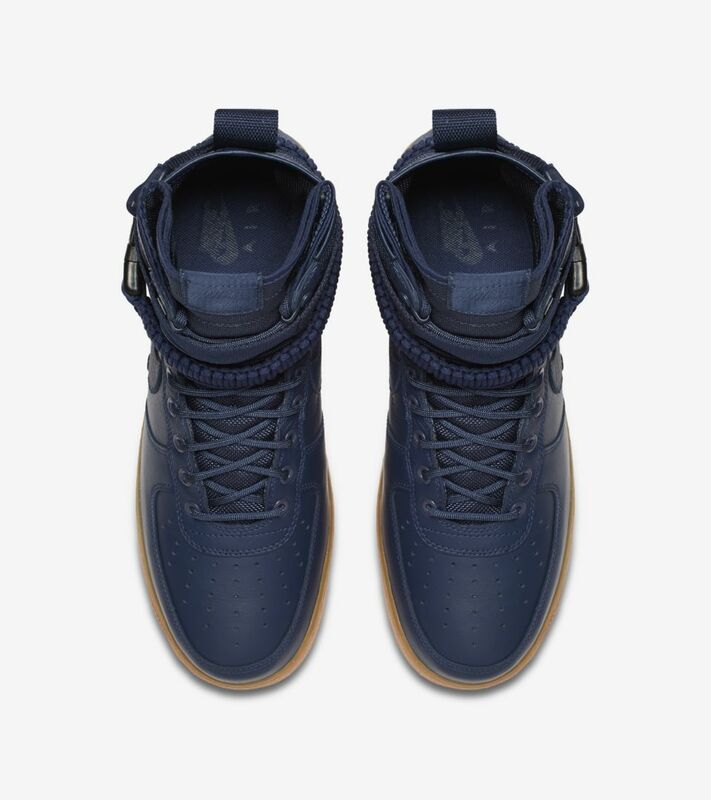 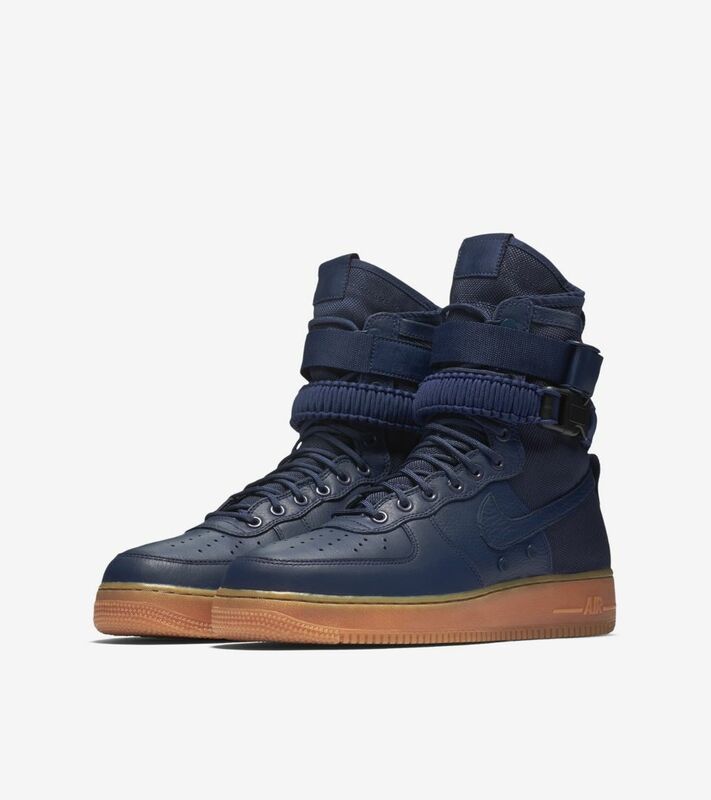 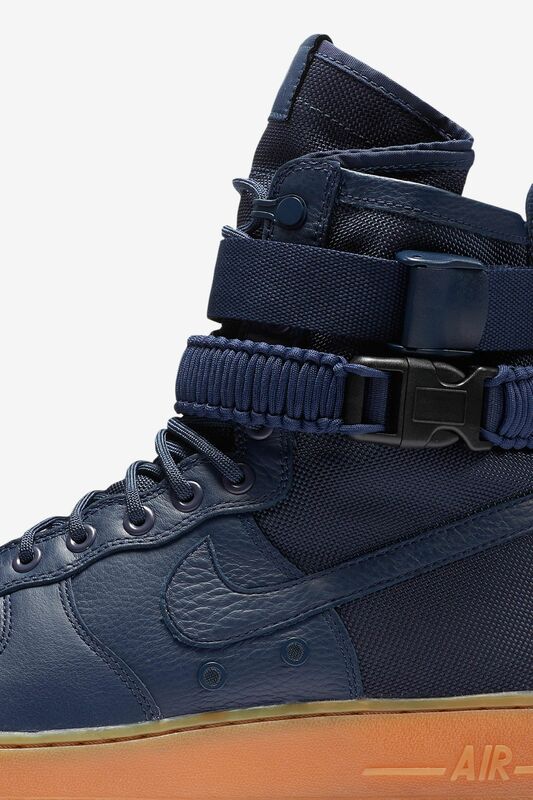 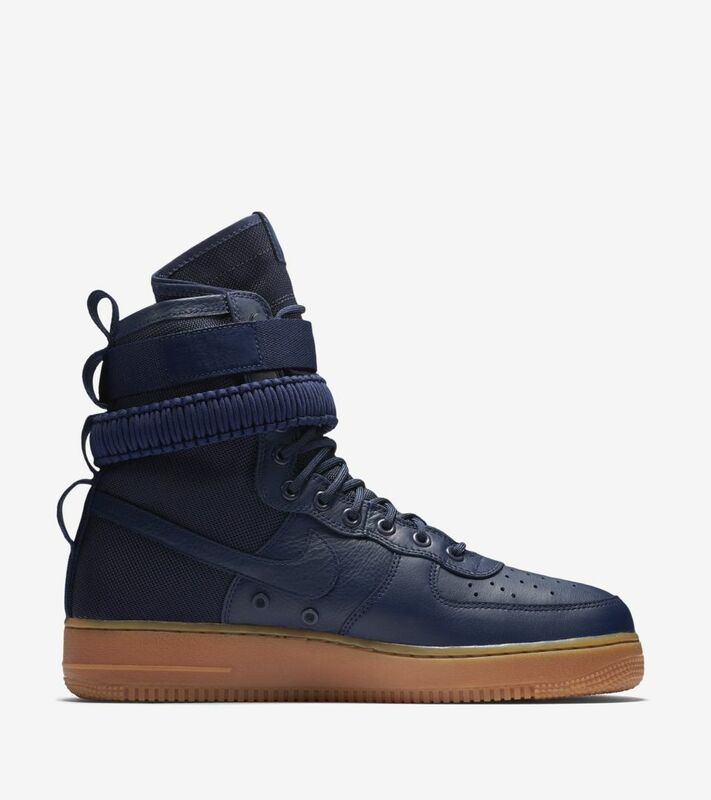 Inspired by the function-first approach of the SFB, the SF AF-1 is a dramatic reinterpretation of the Air Force 1. 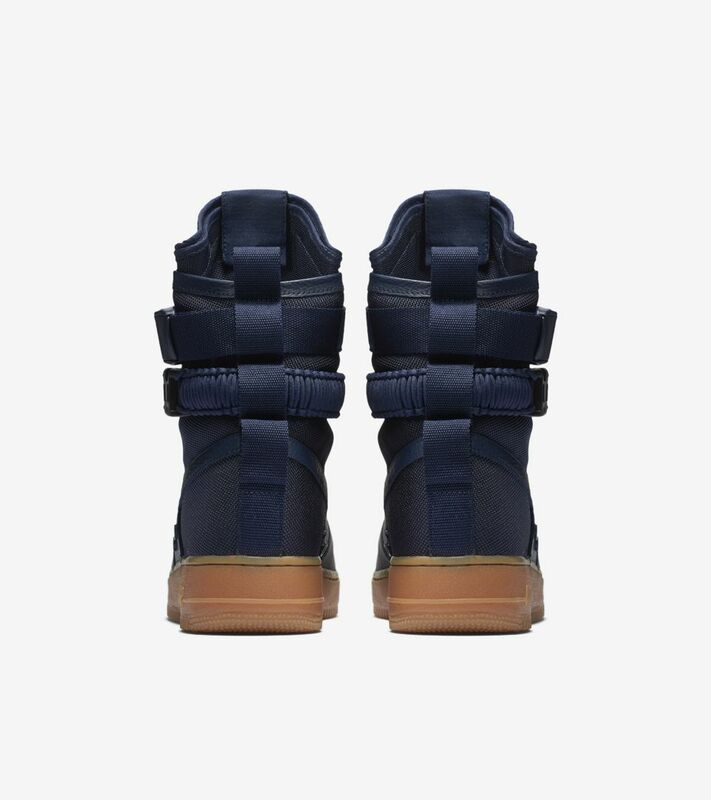 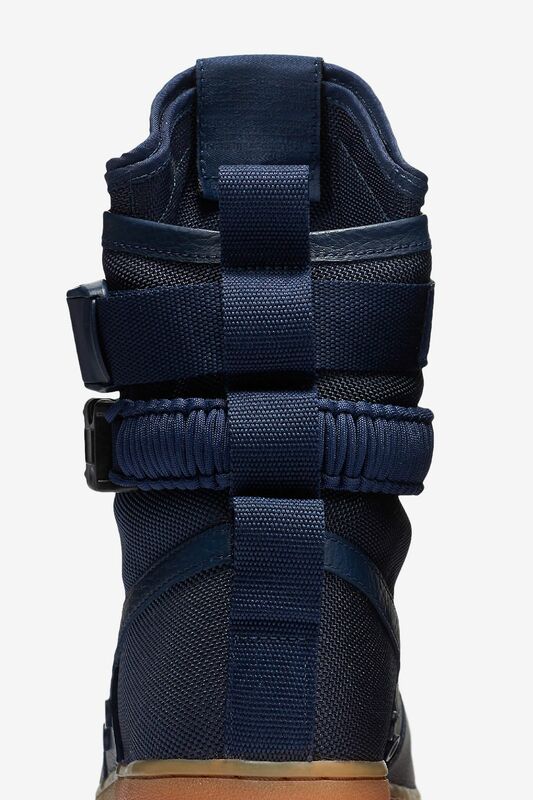 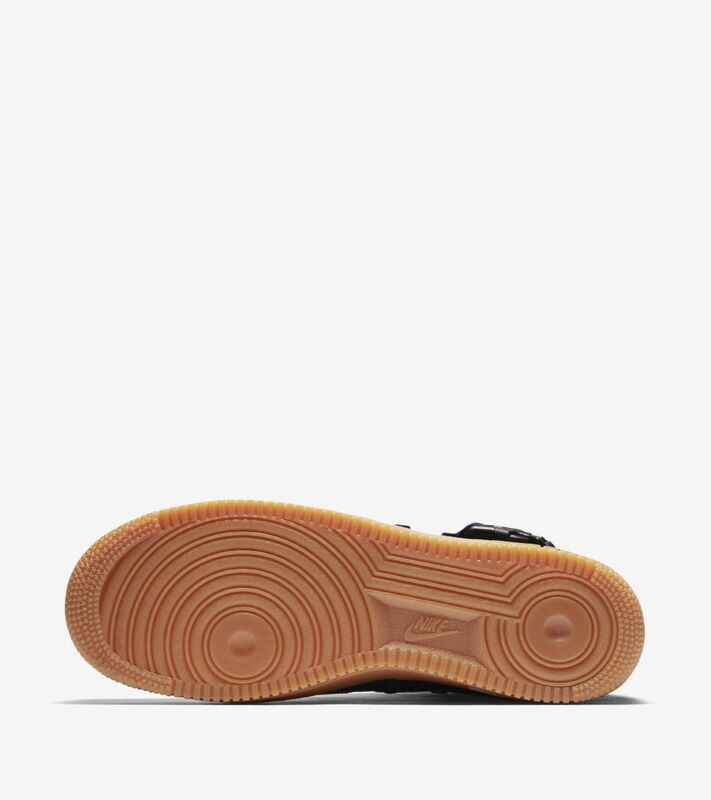 It features a high-rise nylon collar, multi-purpose ankle straps, secret pockets and more, delivering options for utility and wear in any urban environment. 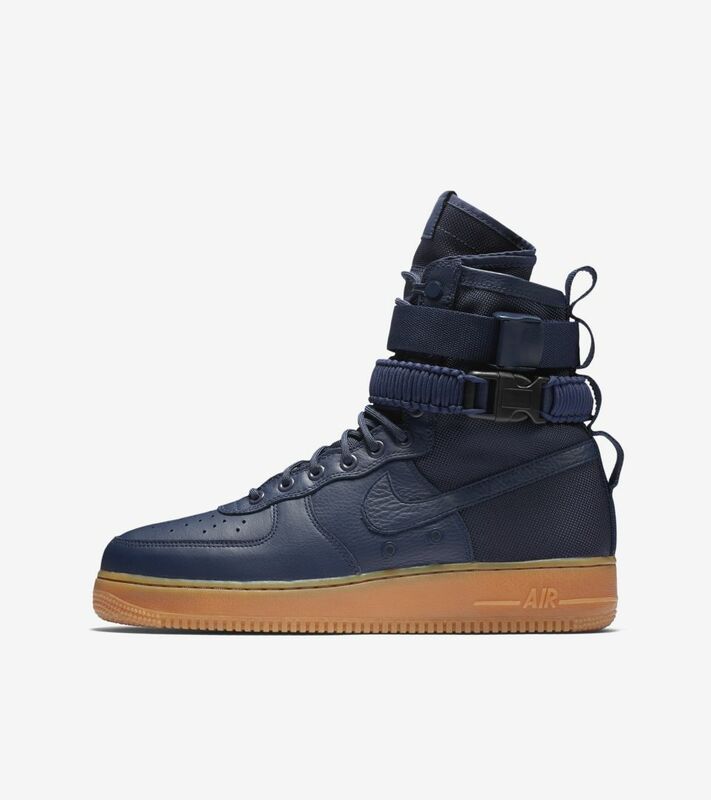 The latest colorway arrives in black and navy for a sleek show of force.